Dr. Katherine Irene Dieringer is a Certified Athletic Trainer, educator, and leader. 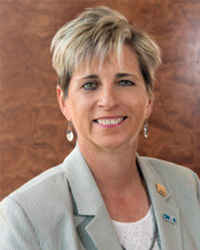 She has served as president of the National Athletic Trainers’ Association’s (NATA) southwest district, and currently chairs NATA’s Healthcare Reform Workgroup and is a commissioner on the Commission on Accreditation of Athletic Training Education. She has served as chair of NATA’s Finance Committee as their secretary/treasurer and district representative. She is the president and co-owner of D&D Sports Medicine, which has three locations in Texas. She has been a member of the USA Gymnastics medical staff, served on the USA Volleyball Sports Medicine and Performance Commission’s Advisory Committee, and been an athletic trainer for the United States Olympic Festival and the Slovak Republic’s Youth National Volleyball Team. She has taught at Florida State University, the University of North Texas, Eastern Kentucky University, and Texas Women’s University, where she was also head athletic trainer. In 2016, her chapter “Revenue and Reimbursement” was published in Administrative Topics in Athletic Training, and she has contributed to research published in Clinical Sports Medicine and Medicine and Science in Sports and Exercise. She is a frequent presenter, especially on the topic of the value of athletic trainers in secondary schools. She has been interviewed by the New York Times, Chicago Tribune, Family Circle, ESPNW, and other media outlets. Dr. Dieringer has received numerous honors, including induction into the Hall of Fame for the Southwest Athletic Trainers’ Association. Among other awards, she is the recipient of the National Athletic Trainers’ Association’s Athletic Trainer Service Award and Most Distinguished Athletic Trainer Award.